The island of Capri is located in the southern part of the Bay of Naples and consists of two plateaus, separated by a fertile plain. The island has been inhabited since the VIII century B.C., when the Greeks and Phoenicians settled there. However, the first person to really appreciate Capri was the Emperor Tiberius, the man who took control of Rome after Augustus. In around 30 A.D., Tiberius had 12 sumptuous villas built for him on the island, including the Villa Jovis, naming each building after a god. 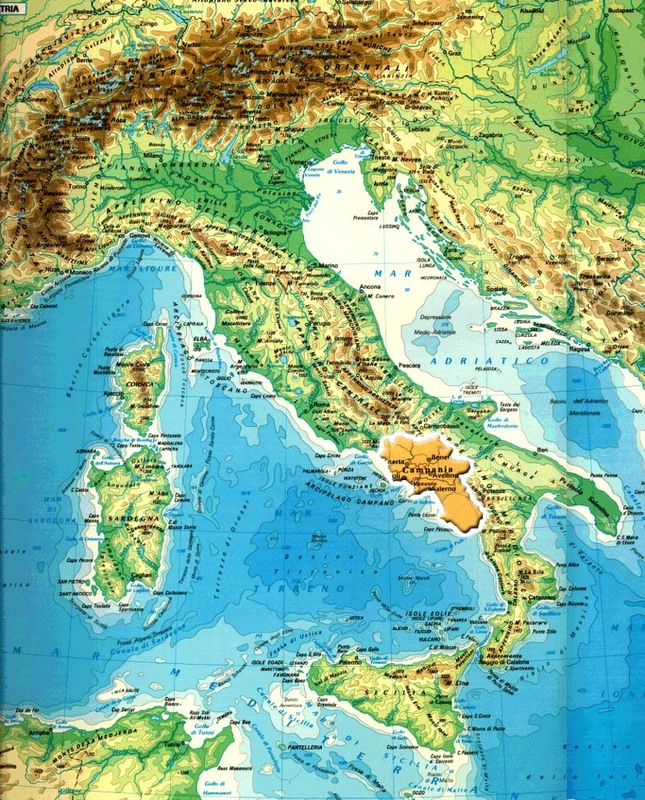 From the fall of the Roman Empire (476 A.D.) until the end of the Early Middle Ages (1000), Capri was under the control of Naples, without however being influenced by the political changes that occurred in the ruling city due to the alternation of various dynasties, from the Angevins to the Aragonese. In the meantime, Capri had to deal with its own very different problems that continued to plague it for centuries: it was continuously subjected to pirate raids and left to fend for itself by Naples, meaning that the population had to move away from the coast, seeking refuge on the plateaus that rise up in the center of the island. This caused a sort of crash in the islands economy, which primarily relied on fishing, but also led to the creation of the two urban settlements of Capri and Anacapri (1200). Between 1200 and 1500, the island came under the control of the Normans and then the Swabians, passing into Spanish hands and then, until the fall of Napoleon, into French hands. The islands cultural reawakening began in around 1800 thanks to a lively, growing interest from European artists and intellectuals. Attracted by the wonderful climate, the islands location and its natural wonders, the island was subjected to a peaceful invasion by the English, Americans and Germans and consequently began to equip itself with tourist facilities. In the early 20th century, the island took in some political refugees, including the Russian writer Maxim Gorki and Lenin, followed by the famous Chilean poet Pablo Neruda in the 1950s, who lived in exile on the island for several years.